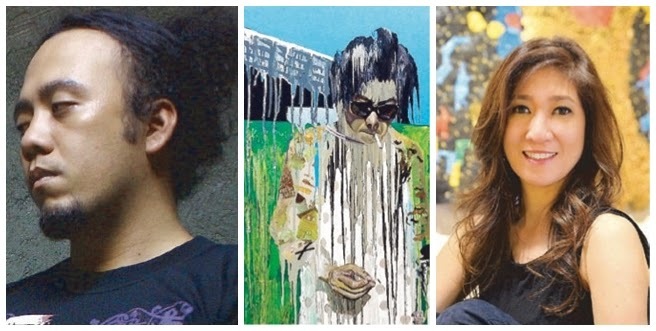 In its most amazing experience, and at the same time most intimidating and at times creepy moment, two-dimensional and some three-dimensional art pieces made by our very own artists, which are currently on display at Yuchengco Museum, were recently turned into a more uh-mazing stuff by the world's digital leader, Samsung. Dubbed as "Relative Realities: Creating New Dimensions of Art through Technology", last August 8, Samsung Electronics Philippines Corporation (SEPCO) and Yuchengo Museum open to the public its digital art exhibit that features the works of print-maker Ambie Abaño, painter Ernest Concepcion, painter Jason Montinola, visual artist and designer Leeroy New, visual artist Arturo Sanchez, Jr., and multimedia and performance artist Josephine Turalba. Through the help of augmented reality technology, "Relative Realities" promises to be exciting and distinct as museum goers will experience the evolution of art no matter what kind of discipline they belong. Powered by Samsung’s Ultra High Definition Smart TVs and tablets, which is supplemented by a mobile app called FACETS, this exhibit, as explained by its curator, Jeannie E. Javelosa, is about shifting mindsets, shattering preconceived notions and disrupting the mind's acceptance to what it defines as truth. What is real to you may not be real to me. the which artist is your own personal experience and understanding." Aside from the artworks in “Relative Realities,” Bacets Futuristic Art Creations Enabled by TVs and Smart devices (FACETS) mobile app also features select paintings on view at the Yuchengco Museum’s Masters Gallery. Guests can learn about the museum’s master works, their styles, the meaning of their works, and their place in the development of Philippine art. Just take note that FACETS is only available on Android smartphones and tablets through the Google Play Store. 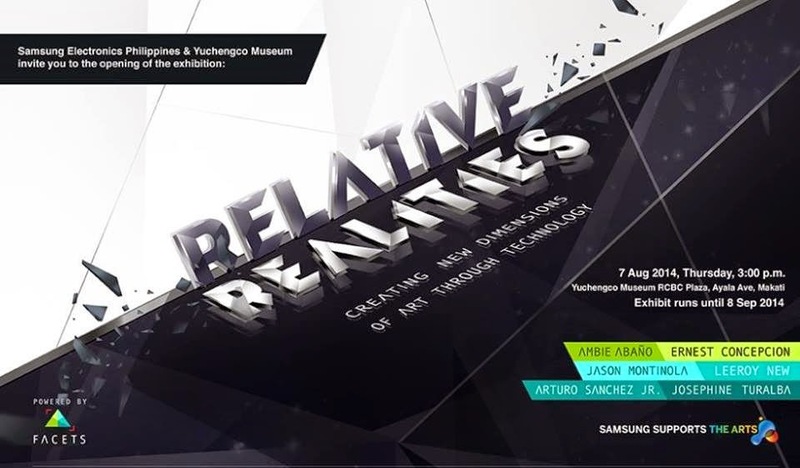 “Relative Realities: Creating New Dimensions of Art through Technology” will be on view at Yuchengco Museum, RCBC Plaza, corner Ayala and Sen. Gil J. Puyat Avenues, Makati until September 8. Yuchengco Museum is open from Monday to Saturday, 10 a.m. to 6 p.m.
"From the inner world's experience to the exterior world's redefinitions. From a one-person perspective to the multiplicity of viewpoints. From an art object touched by technology to the statement of the experience."